We are ambitiously pushing the boundaries of progressive thinking and challenging what’s possible. Aligning with Macquarie University’s vision, MQ Health's research and scholarship embraces the challenge of tackling global health and medical issues of scale and complexity, through its leadership in a range of biomedical and clinical research, as well as in allied health and health services and systems. Its research strengths are built around a nationally distinctive research ecosystem that offer research 'pipelines' from the laboratory, through pre-clinical research, through clinical trials and then to the clinic and hospital. 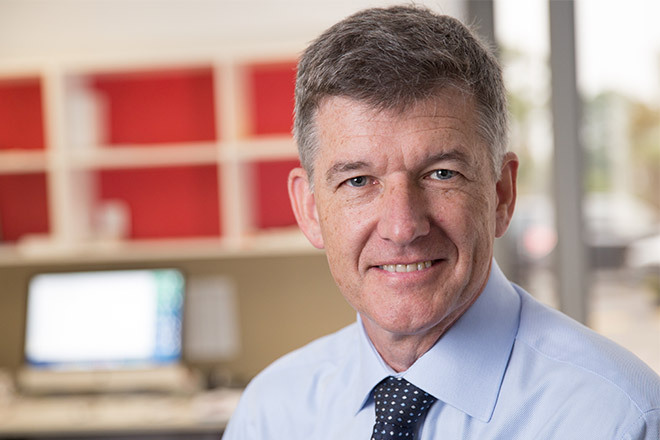 Through Macquarie University Hospital and Macquarie Medical Imaging, MQ Health is developing a reputation for taking on complex clinical cases, particularly those that take advantage of its capabilities in advanced and robotic surgery, neurosurgery, medical imaging, clinical trials and cross-disciplinary collaboration. These more applied or 'translational' aspects of research build on MQ Health’s distinctive laboratory research in areas such as the molecular origins of neurodegenerative diseases and cancers, and using these new insights to design and evaluate potential therapeutic interventions. At the other end of the pipelines, its research seeks to identify inefficiencies in healthcare systems, and how these can be measured, evaluated and improved to save lives and costs in health systems. Within MQ Health, the Faculty of Medicine and Health Sciences delivers quality higher degrees research training through an integrated Research Masters–PhD pathway. For more details on this training, please see the faculty’s website. The Faculty of Medicine and Health Sciences is a world-class teaching and research institute that is pushing the boundaries of progressive thinking. With a focus on improving patient outcomes, our distinctive education and research courses bring together holistic patient care; the latest medical research; and high-quality, stimulating training experiences to ensure our future healthcare leaders have the best skills and knowledge.